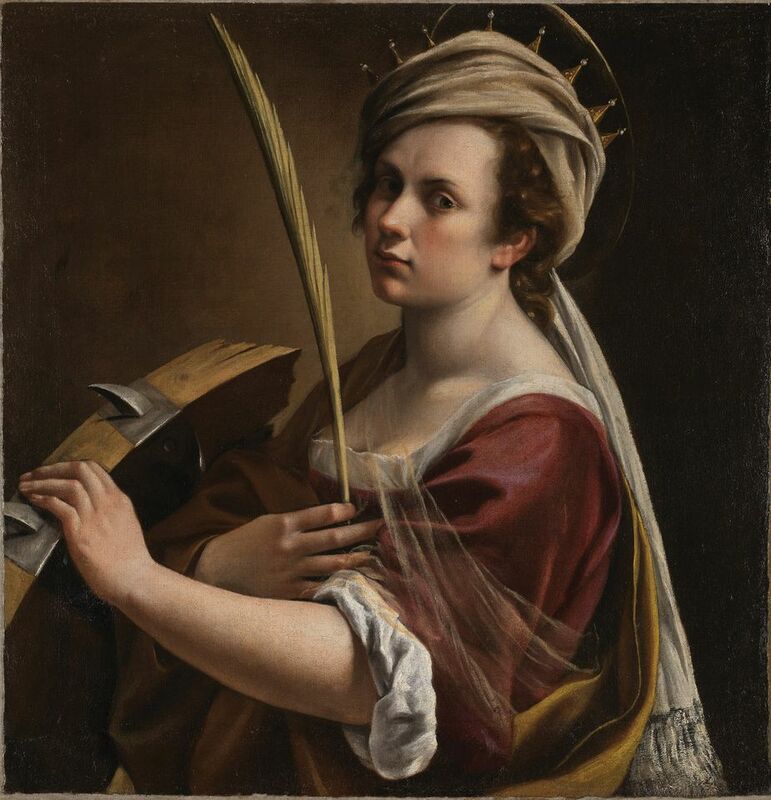 A scientific study of a Baroque painting by Artemisia Gentileschi owned by the Gallerie degli Uffizi in Florence has revealed an underpainting that is virtually a twin to a Gentileschi canvas recently acquired by the National Gallery in London. An Italian conservator now suggests that both works may be based on the same cartoon or drawing. Conservators used non-invasive ultraviolet, infrared and x-ray techniques to delve below the surface of the Uffizi work, Saint Catherine of Alexandria (1618-20), says Cecilia Frosinini, the director of the paintings conservation department at the state Opificio delle Pietre Dure, which carried out the analysis. The surface painting depicts the saint wearing a crown and gazing upwards in what the museum describes as a blend of a self-portrait by Gentileschi and a portrait of Grand Duke Ferdinando de’ Medici’s daughter Caterina. 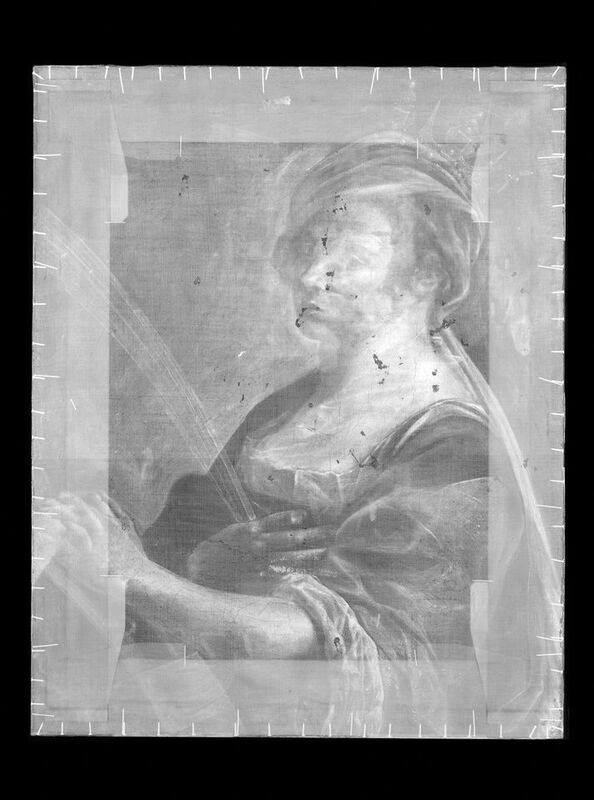 But the underpainting revealed by x-radiography portrays its subject with a turban and with her face turned towards the observer, just like the National Gallery’s Self-Portrait as Saint Catherine of Alexandria (1615-17), acquired last July for £3.6m. The testing also revealed a “mysterious little face” on the left side of Saint Catherine’s own face, “a feature totally out of context with respect to both the finished work and the earlier version” underneath, the Uffizi says. Restorers say that a tracing of the London painting could be neatly superimposed on parts of the underlying image in the Uffizi work. “We believe that she had a cartoon or at least a preparatory drawing that she reused several times, adding some changes or some variation from one to the other,” Frosinini says. Gentileschi (1593-1653), once all but omitted from art history texts, has recently risen in the canon and is now acknowledged as one of the first female artists to have had a broad following among 17th-century patrons. Letizia Treves, the curator of later Italian, Spanish and French 17th-century paintings at the National Gallery, said that her museum had provided the tracings of its self-portrait to the Uffizi and to the Wadsworth Atheneum in Hartford, Connecticut, for the sake of comparison. (The Wadsworth Atheneum owns the Gentileschi painting Self-Portrait as a Lute Player from around 1615-18, which also portrays its subject at half-length, seated with her face turned toward the observer.) The arms in the National Gallery’s tracing align with those in the Uffizi’s underpainting, Treves says; the head aligns with the one in the Wadsworth Atheneum’s painting. “It became very, very clear, to the millimetre, that these areas overlapped perfectly, so she must have used some sort of drawing method to transfer sections,” Treves says. While no startling fugitive image was found in the London portrait, testing revealed that Gentileschi made changes in the sitter’s draperies and in the original hue of the sleeve of her dress, Treves says. The artist’s father, the painter Orazio Gentileschi, similarly altered his paintings as he went along, she notes, and would paint the same figures on different canvases. Still, much research remains to be done. “Artemisia’s artistic process, the more technical side of her art, has not had the same kind of focus as other artists,” Treves notes. “Any new thing that you’ve found, you’re breaking new ground.” The dating of the Florence, Hartford and London portraits is only approximate, so which came first “is a big question that we’ll have to think through”, she adds. 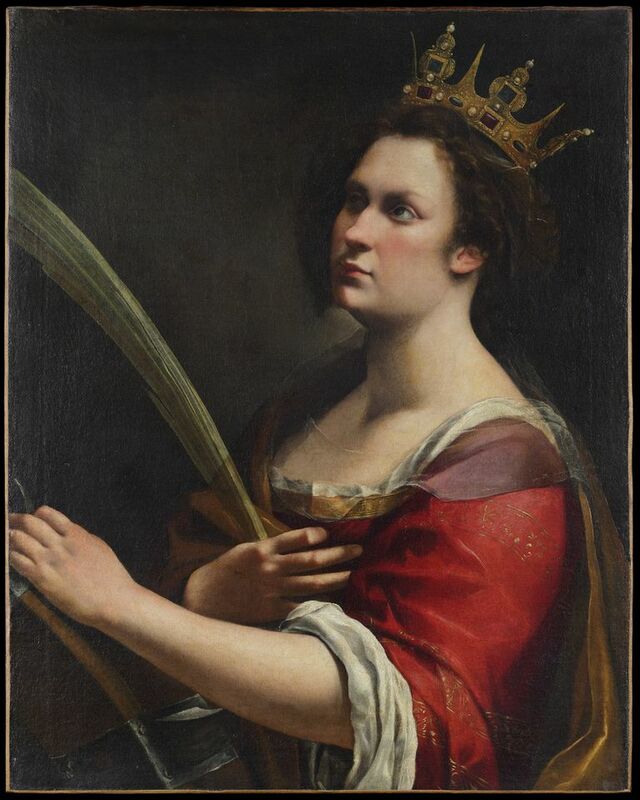 Following restoration at the Opificio, Saint Catherine of Alexandria will be on permanent display at the Uffizi. The National Gallery’s self-portrait, which was cleaned and restored last year, will be part of an Artemisia Gentileschi exhibition planned at the museum next year. In March, the painting embarked on a UK pop-up tour at Glasgow Women’s Library to mark International Women’s Day; it is due to travel to four further venues this spring and summer, including a girls' school and a health centre.